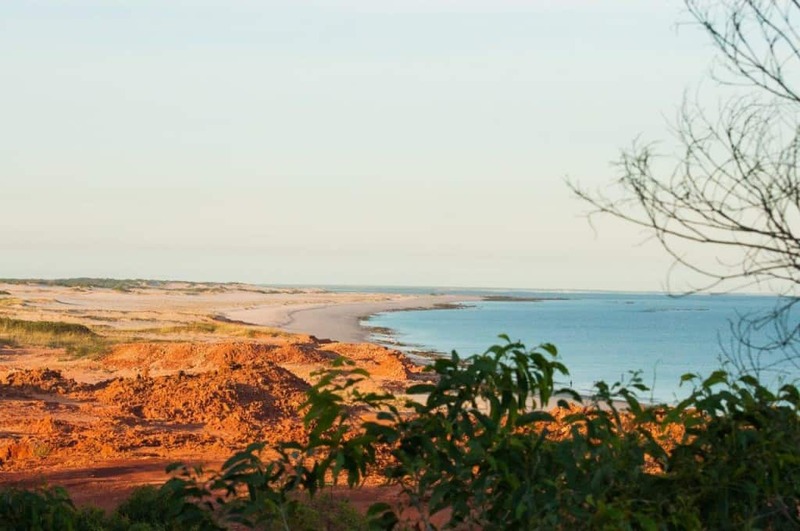 If you are tossing up whether to visit Middle Lagoon or head the extra distance to Kooljaman at Cape Leveque, you are in a fantastic position. At the end of the day, it won’t matter where you go; they are both truly unbelievable spots that you will love and remember for a long time to come. 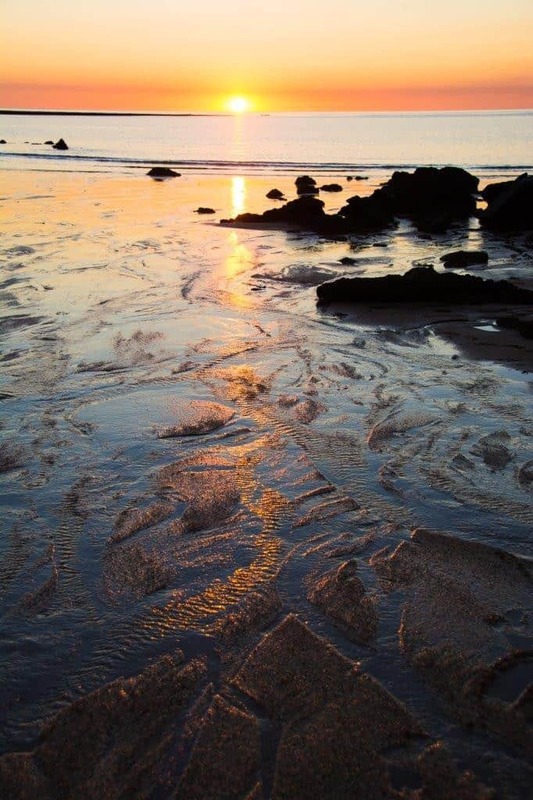 There aren’t too many places you can visit in the Kimberley that you won’t enjoy! That said, they are different in many ways, and I want to cover some of them below. Before I do though, if all you want to do is look at amazing photos from both locations, check our photo post out at Off to Cape Leveque. 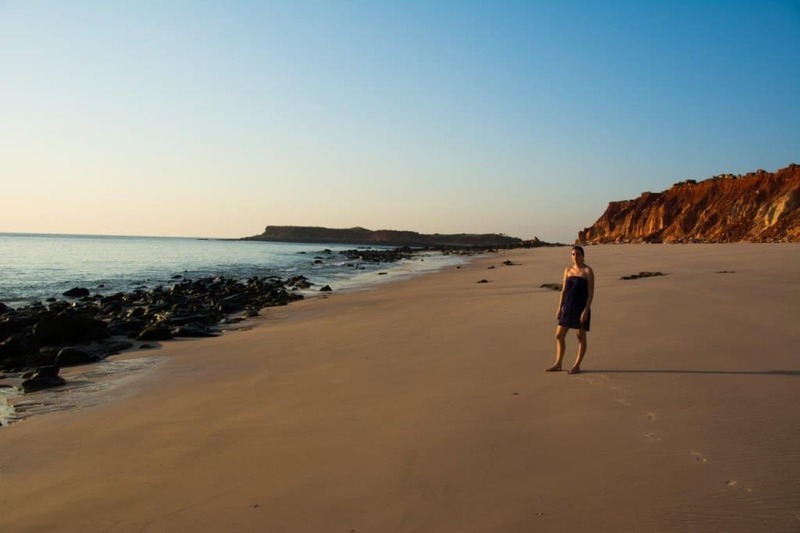 Or Kooljaman at Cape Leveque? 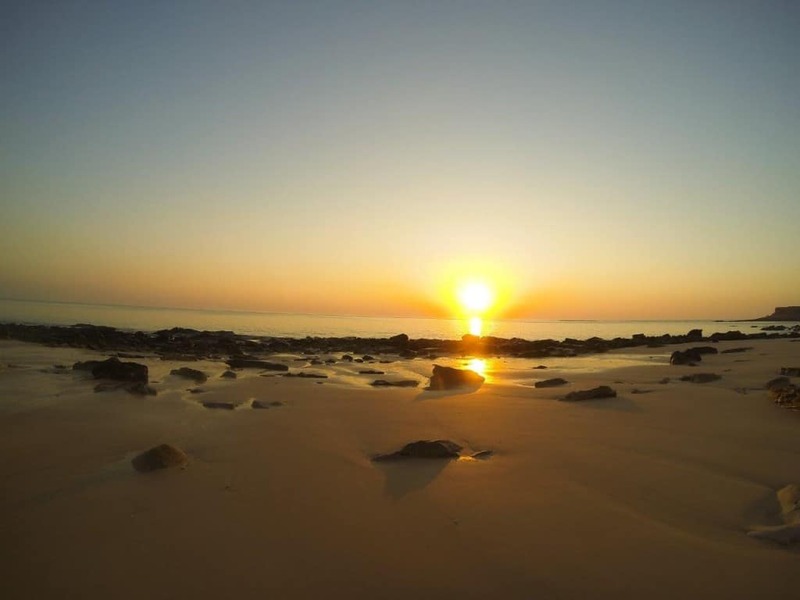 Both Middle Lagoon and Cape Leveque are located on the Cape Leveque peninsula. Middle Lagoon is roughly 175km from Broome, with Cape Leveque being a bit further at 220km. In terms of actual driving times, they aren’t too far apart. On a good run from Kooljaman all the way to Broome it will take a smidge over 2 hours. 3 hours is recommended though, but it vastly depends on the road condition when you head up. Middle lagoon is almost like an informal caravan park. It’s got good toilets and showers, but many of the camp sites are spread apart considerably. The main camping area in the middle, which you can see in the below photo is still together, but not anywhere near as close as you’d expect in a Caravan Park. There are a couple of beach shacks, but they are nothing fancy, and don’t attract the higher paying clientèle. For more information, have a read of the post I wrote about Middle Lagoon. Kooljaman on the other hand is a bit more advanced. They’ve got a small store, reception, restaurant which is open every day for breakfast, lunch and dinner, various cabin and beach shelter options, as well as powered and unpowered sites. There are a lot more people at Kooljaman right from the get go, with a considerable number who work there and maintain the area. 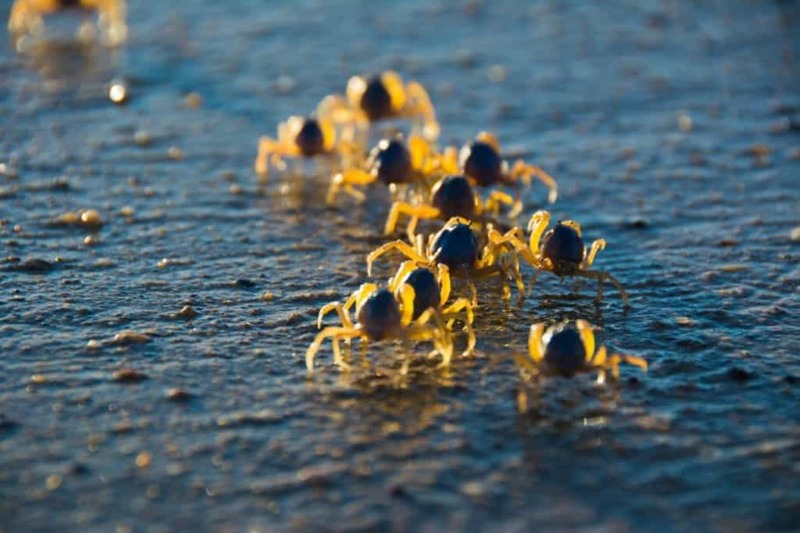 For more information, have a read of the post I wrote about Kooljaman at Cape Leveque. For 2 adults, the cost to stay in an unpowered site per night was roughly the same between both Middle Lagoon and Kooljaman ($20 – $22 per person per night). Powered sites are $45 a night (for 2 people) at Kooljaman, and there are only a few powered sites at Middle Lagoon. One of the major things that struck me was the size difference between the two places. Middle Lagoon has two beaches, one which is fairly long (the lagoon) and the other (the ridge) which is quite small. You can access flat rocks as well, but that is about where your land access ends. Kooljaman on the other hand also has two beaches, but they are both much bigger. 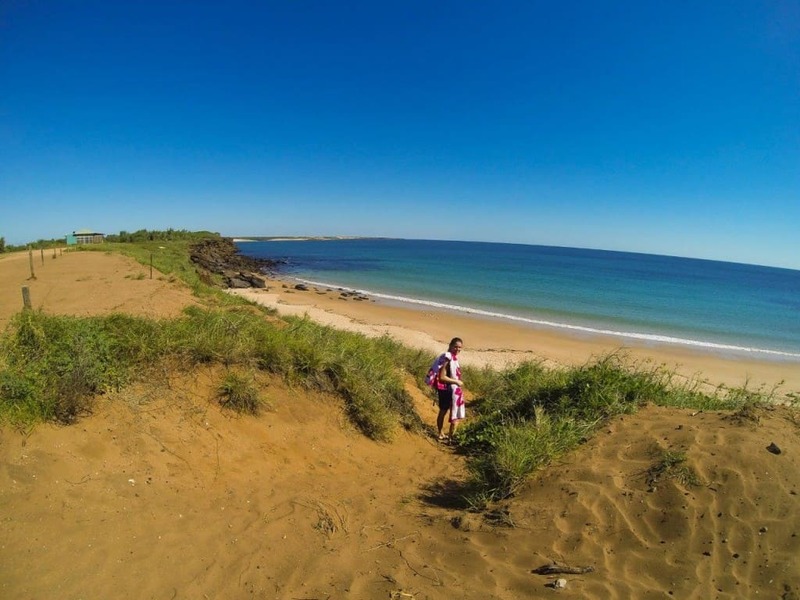 You’ve got the big red cliffs that you can walk down north or south on the western side for a very long time, or the eastern beach that is set aside for swimming, fishing and 4WDing. The whole area at Kooljaman is much bigger though; they have a lot more accommodation choices, although the camping area (powered and unpowered) is probably not any bigger than Middle Lagoon’s. Middle Lagoon isn’t small, but Kooljaman is bigger! For me, if you are allowed to drive your 4WD onto the beach, it makes life a whole lot easier. We’ve got a lot of photography, fishing, snorkeling and other gear, and carrying it down for the day is not really an option, so you have to leave something behind. 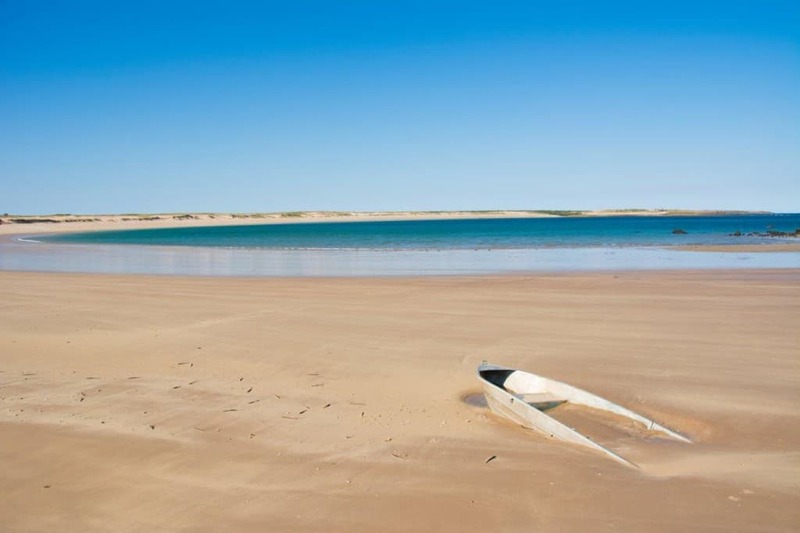 At Middle Lagoon, you are only allowed on the beach to launch your boat, which is a shame. Kooljaman on the other hand, allows access down to the Western beach car park (20 meters from the water) and a couple of km along the eastern side, in between the swimming beach and the end of the Kooljaman land lease. 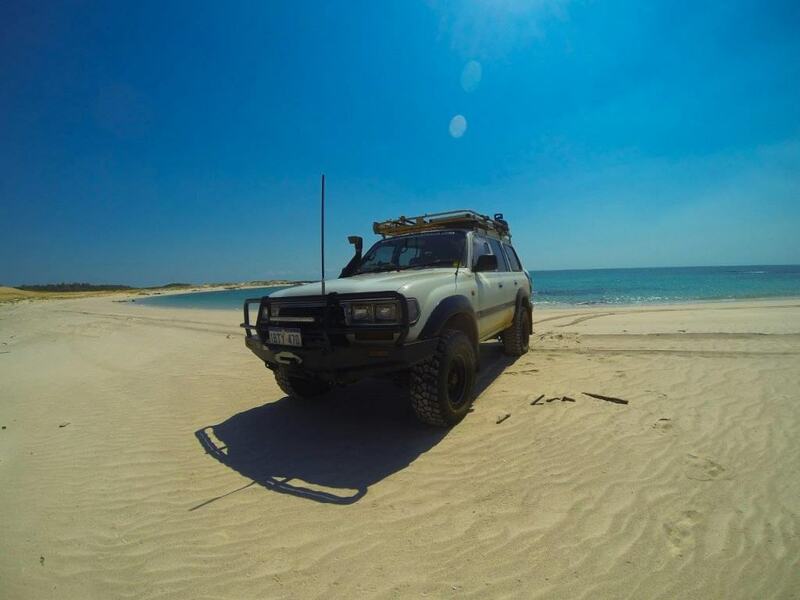 We spent a number of days with the 4WD parked up on the beach, fishing, snorkeling, taking photos and relaxing. I was really pleased about the beach access at Kooljaman. Kooljaman has a lot more amenities. They have a camp kitchen with two fridge freezers you can use, a restaurant, little store and plenty of tours that leave from the office. To give Middle Lagoon its due though, the toilets and showers were as good as you could get; clean, hot (if you wanted them to be; it was nice having a cold shower!) and well maintained. The shower block we used at Kooljamin could have done with a little TLC, but it wasn’t unpleasant to use. Both Kooljamin and Middle Lagoon have incredible views. The unpowered sites at Kooljamin overlook the red cliffs and perfectly flat, blue water, and a number of the sites at Middle Lagoon either look directly over the lagoon itself, or over the other beach from the ridge. I think I preferred what you could see at Kooljamin; the red cliffs are nothing short of stunning, but Middle Lagoon was amazing too. This was another thing that was a bit frustrating with Middle Lagoon. Once you were out there, you couldn’t really leave the area to go and see something else, as it is all private land. 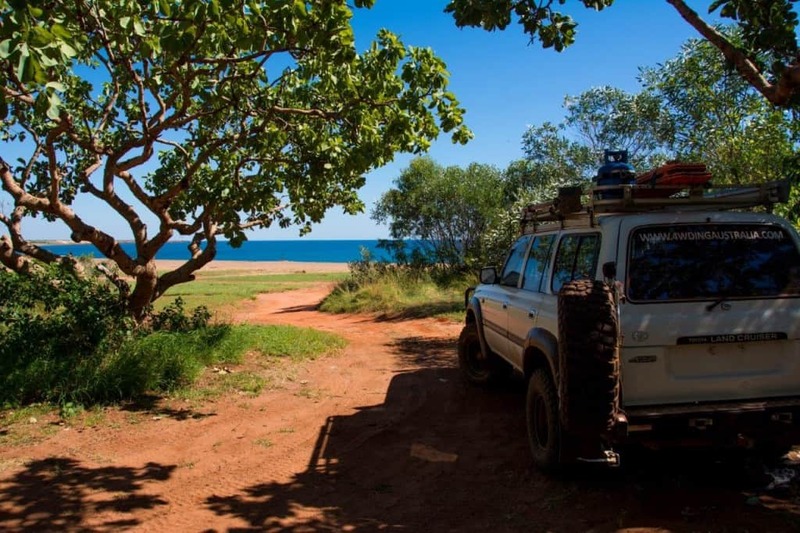 Kooljaman on the other hand, has a short 5km drive back to Cape Leveque road, where you can head into One arm point or Cygnet bay pearl farm. 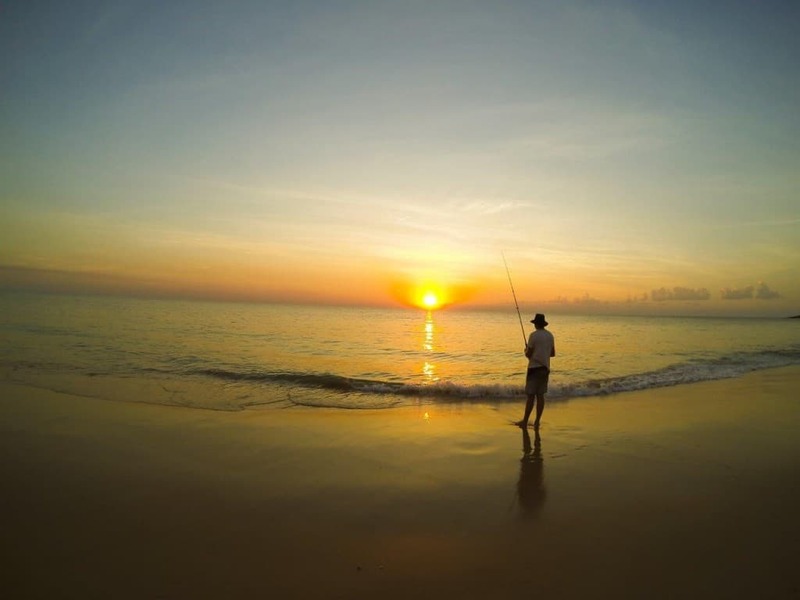 One arm point is a fairly large community with plenty of beaches, and a hatchery that you can access. Kooljaman has a lot more coast that you can fish off, and seems to have more potential for catching fish. We gave both places a shot, and didn’t do well at either, but saw some very nice fish being caught at Kooljaman off the western beach. I guess that just says I’m a very average fisherman! The difference between the two places in terms of the road condition is fairly similar. Once you get to the turn off to Middle Lagoon, you are on a bitumen road (heading north) anyway, which goes all the way (except the last 5km) to Kooljaman. The road into Middle Lagoon is quite narrow, sandy and has a lot of bog holes (which you avoid). It wasn’t bad, but you had to sit at a slower speed than the main road. I have heard plenty of people complain about this road though, once the number of people going through increases! I liked our camp site (number 29) at Middle Lagoon better than the one we had at Kooljaman (number 2) for a couple of reasons. 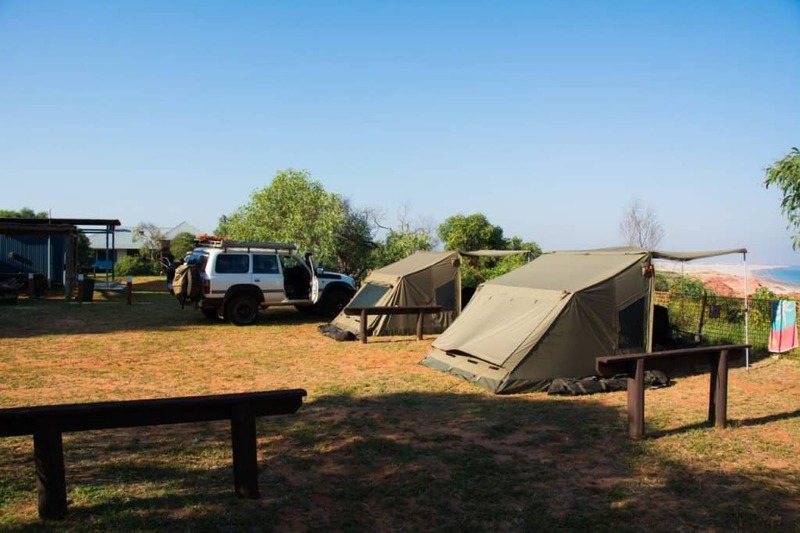 Firstly, it was private; the nearest camp site was at least 20 meters away. We also had a number of trees that provided shade in the afternoon, which was greatly appreciated. At Kooljaman, we had other people within 5 meters of us either way, and only a tiny tree that you couldn’t really sit under. Middle Lagoon – Quieter, less commercialised, no 4WD beach access, protected waters for swimming, 2 lovely beaches. Both places are absolutely amazing, and you won’t regret going to either. 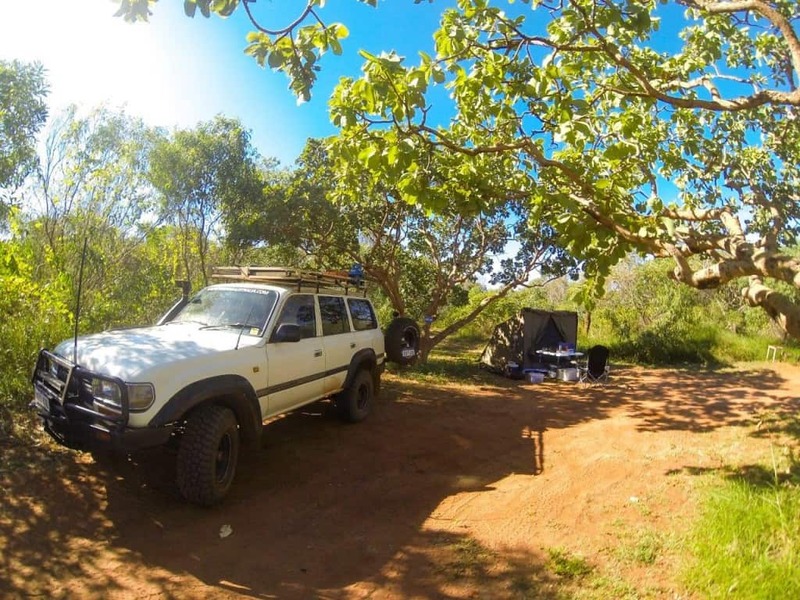 If it comes down to a choice though, I’d take Kooljaman every time, purely because there is more to see and do, with better scenery and 4WD beach access. I did prefer the privacy of our camp site at Middle Lagoon though, as well as the fact that there are a LOT less people around. It’d be interesting to stay at both when its peak season though; I imagine Middle Lagoon would get pretty busy too, but for now it lacks the commercialism that Kooljaman has (which is a good thing, in my eyes!). You will love which ever place you go to! 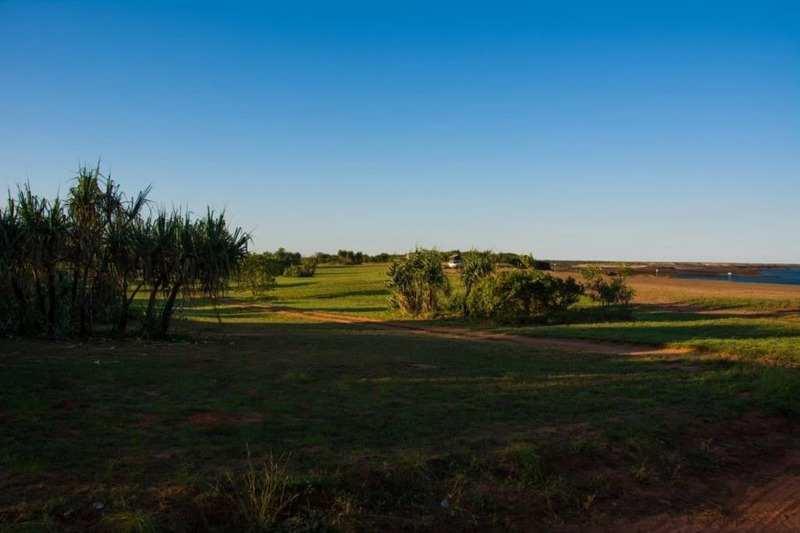 If you do stay at Kooljaman, make sure you check out the tours offered by Brian Lee; one of the major highlights of our 5 weeks in the Kimberley. 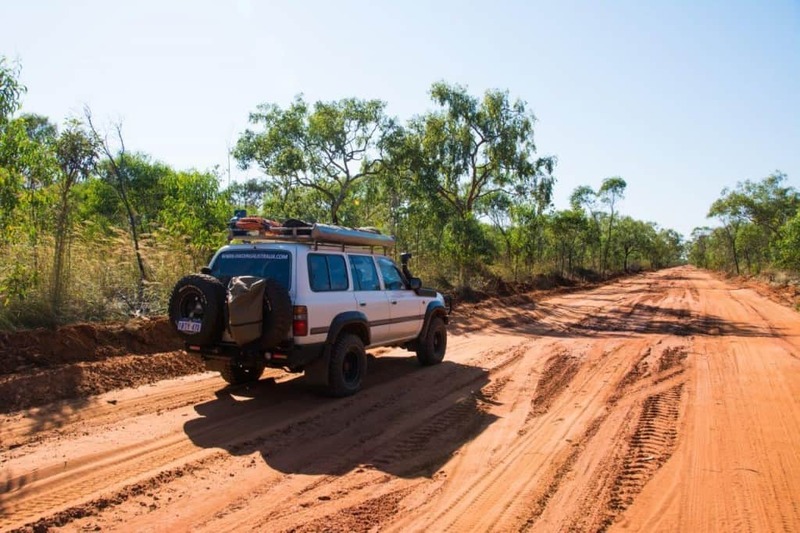 You can find out more about it here – Brian Lee 4WD Tagalong Tour. Have you stayed at Middle Lagoon or Kooljamon? What did you think of them? Wow what a horrible choice to make. but I agree, given only 3 or so nights to see the area I would choose Kooljaman. but Middle Lagoon has its ups, I would try and find more time and do both. however at Kooljaman I highly recommend the beach huts. they too are unpowered but sit down on the Eastern side of the hill. Yes they are more expensive but in my eyes worth it. if its hot, as it was when we were there I actually would recommend going back up the hill as any breeze comes from the West (in April anyway) but if you can snag one of the huts go for it. Also a day with Brian Lee is absolutely worth it, in my eyes the best money we spent on tours for our whole Kimberley trip. Pictures below are of one of our huts we stayed in and one of the spots Brian took us to. You are right Simon – what a horrible choice to make. We have it hard, eh?! Booked in at Middle Lagoon a few weeks back. Mistake. Left early. School hols and chockkers. Portable gennies buzzing all over the place, big 4WDs putting dust into the air and camp fire smoke filling the bowl behind the Ridge. My worst stay in the Kimberley. Really sorry to hear that. Generators are a right pain in the backside, and having that many people crammed in can’t be nice. When we stayed there were only about 10 groups of people in the whole region; it was quiet and lovely.